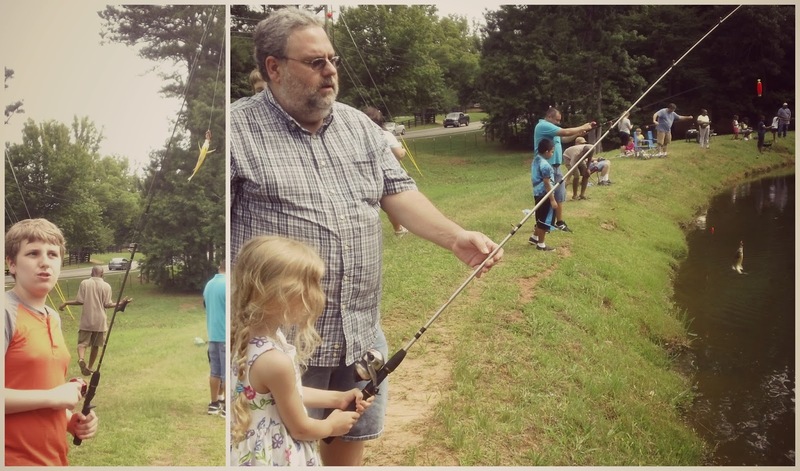 Yesterday was one of our favorite events, the Spectrum Family Fishing day event. We always really enjoy it, it's a day just for our families with Special little guys - a day where no one will stare at you if your kid is screaming or flailing or stemming for no apparent reason. 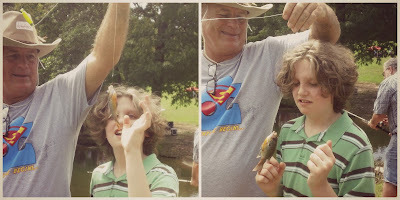 Three of four kids caught fish - Miles caught a leaf. They like the idea of the fish, but neither Miles nor Charlie will do much but want to reel the line in. But Charlie was fascinated by his fish, he gave it a good grab. Sorry fishy. Lots of fish were caught by lots of kids this year it seemed, it was really a happy day for little fishermen. In my mind I'm always very Captain Quinn about it. In reality I'm someone's dorky mom trying to remember how to cast. It's the thought that counts, right? 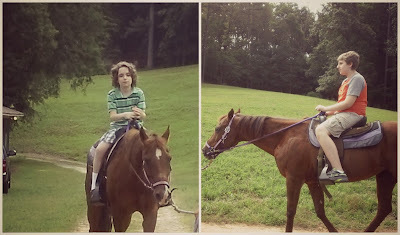 They always also offer horseback riding for the little people too. I wasn't sure this year how Miles would take to it, he's been really afraid of dogs for the past year, and sometimes other random animals. He's never been afraid of horses BEFORE but he also didn't used to be afraid of dogs so, I wasn't sure. He loved it. It was a short ride but a lot fun for my four little guys. 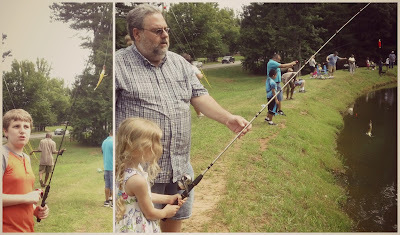 It's a pretty good day when a family of six can go horseback riding, fishing, and have a picnic all for free, thanks to some wonderful people who host this event every year. 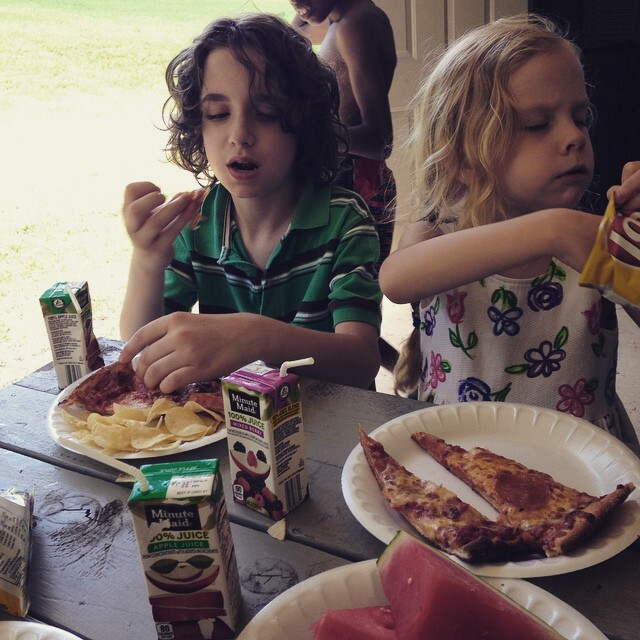 We have fun, breathe fresh air and cavort in the outdoors with other families who live our weird lives. For one day, we're just like everyone else. We decided to end our day with more outdoor fun so we broke out the grill for the first time this season. 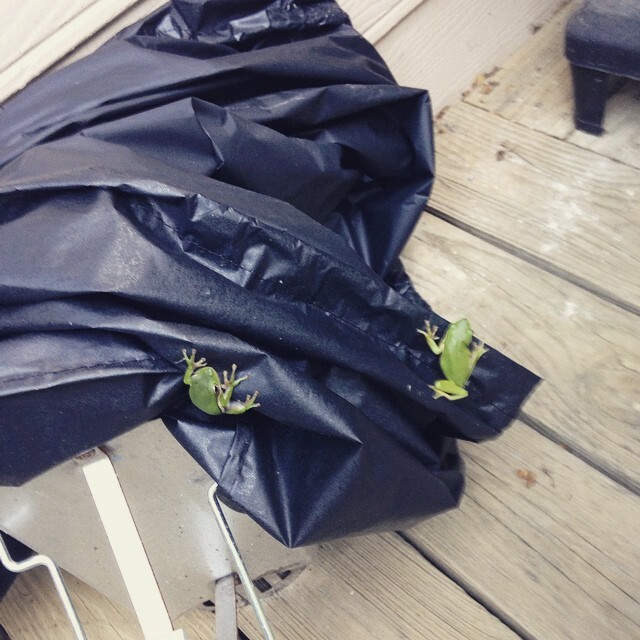 Some tree frogs had decided my grill was the place to be. 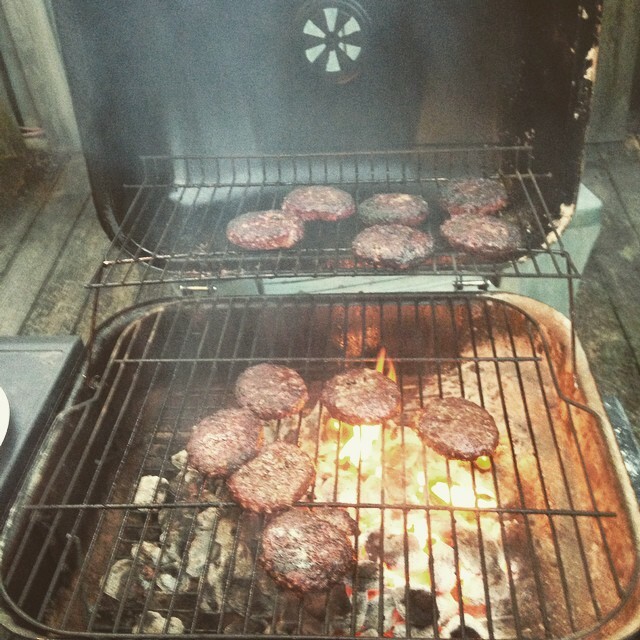 After I evicted them Charlie and Julia helped me make some delicious although somewhat burned hamburgers. Hey it's my first grill of the season, give me a break. I slept like the dead and the kids let me sleep till 8:30 this morning. Seriously, it was a great Saturday.